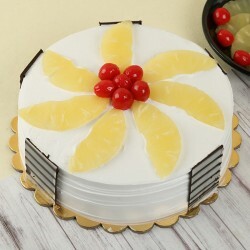 Fruit cakes are a perfect present to send on a birthday, an anniversary, a wedding celebration or any other special occasion. 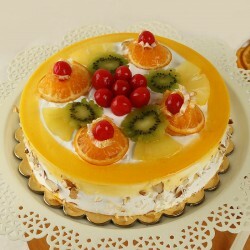 Deliver it to your precious ones as a treat to them with hand-decorated top of delicious fruits and nuts. Shop our irresistible range and give a delicious turn to their celebrations. No celebration is complete without a cake! 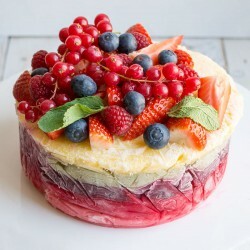 And when you are looking for a healthy option for your special ones, what's better than a cake made up of freshest fruits and soft, moist and creamy base. We are delighted to introduce our exciting collection of fresh fruit cakes online available in distinct varieties and and best flavours. 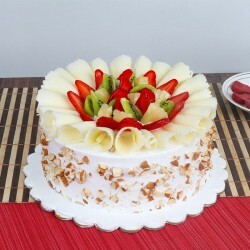 You can choose from Mixed Fruit, Kiwi, Pineapple, Red Velvet, Mango, Vanilla, Chocolate, Butterscotch and more. 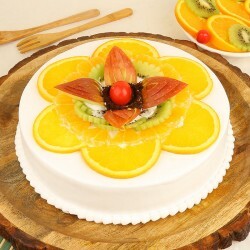 Let your special ones get a splash of flavours with a fascinating and rich fruit cake from MyFlowerTree. 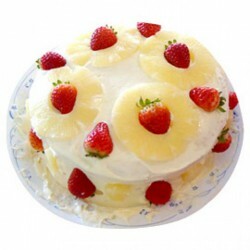 Loaded with lots of exotic flavours, our Fresh fruit cakes are soft, moist and rich in their texture. The fruity toppings make the taste even more exquisite. 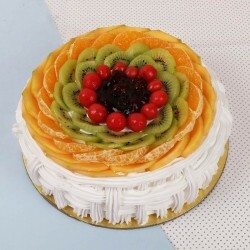 Our fruit cakes are perfect for a birthday, anniversary, wedding celebration or any special occasion with our fruit cakes delivery across India and abroad. 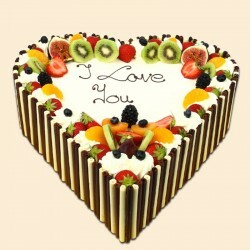 Sending a cake to a loved one is now just a few clicks away! Just pick a flavour of fruit cake, and send it at the best preferable time to someone you know. Apart from the usual gifting, you can opt for our unique gift ideas for one of their celebrations. 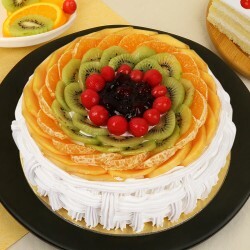 Right from our Eggless Fruit Cake, Photo cakes to Heart-Shaped Fruit Cake, Sugar Free Fruit Cake, and more, we have an eclectic range of cakes in fruity flavours. Our Eggless variety is best suited for your precious ones who are vegan or are on a special Vegan diet. Apart from this, you can opt for our Sugar Free fruit cakes for your diet-conscious friends and family. 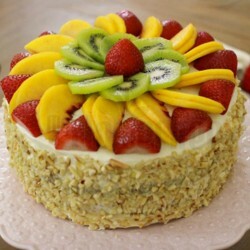 Deliver Fruit cakes in Bangalore with our custom delivery options. 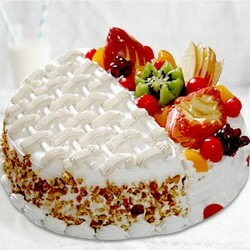 You can choose Midnight or Same Delivery to send Fruit cakes in Pune or any other city. 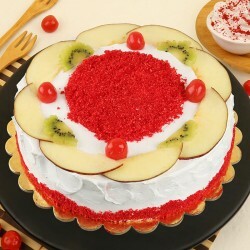 With MyFlowerTree, you get to send fruit cakes online anywhere in India with Free Shipping across India. 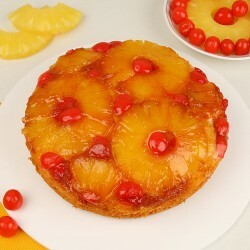 Pick a flavour of their choice and get Fruit cakes online delivery at the comfort of your home or office. 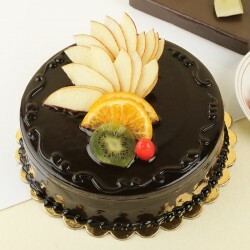 We will deliver the chosen fruit cake to their door in the preferred time and in the most pristine conditions. Our delivery experts work hard to put their expertise to work and deliver cake fresh, soft and moist, just as you like it. 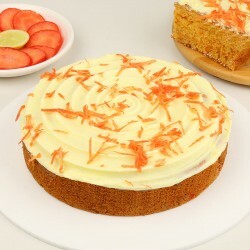 Get to satiate the taste buds of your precious ones with not one but multiple tasty options. 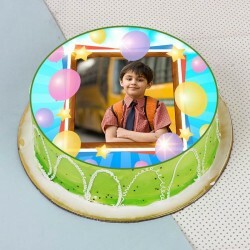 All you need to do is send a cake to Delhi, Ahmedabad, Goa, Kolkata, Mumbai, Gurgaon on occasions such as a Birthday, Anniversary, Wedding celebration, Mother's Day, Valentine's Day or more. We have international coverage too! Products in this category have been rated 4.4 out of 5 based on 110 reviews.